The spinal cord is made up of neuronal cell bodies and axons. The cell bodies are located in the horns (grey matter) and ganglia, and the axons comprise the white matter (tracts) of the cord. 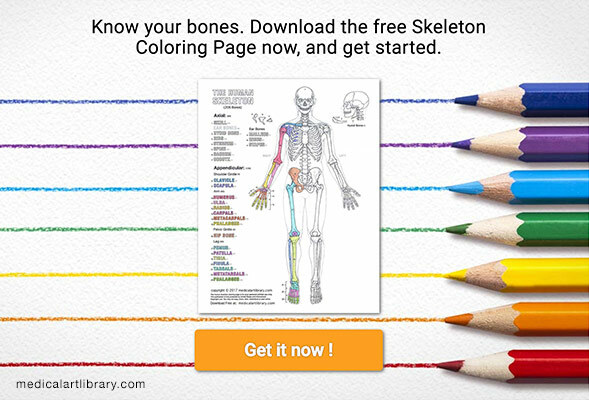 There are 31 pairs of spinal nerves. They are attached to the spinal cord by a dorsal and ventral root. These roots merge to form the spinal nerve. The dorsal and ventral roots emerge from the the spinal cord as a series of rootlets. 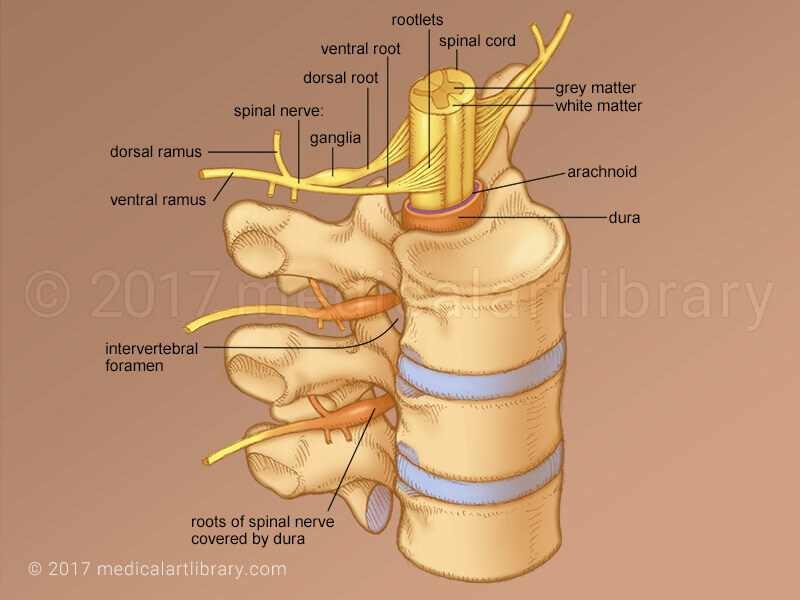 The spinal nerve and it’s roots leave the vertebral canal through the intervertebral foramen. 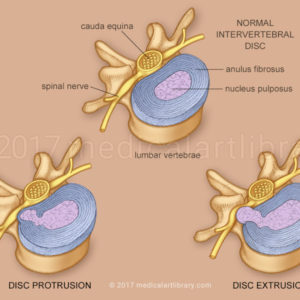 As the roots leave the foramen, the dura that covers the spinal cord continues to cover the nerve roots. This dural sheath blends with the outer covering (the epineurium) of the spinal nerve. 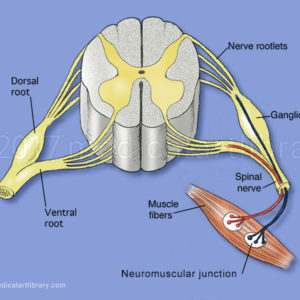 The spinal nerve then splits into a dorsal and ventral ramus. The dorsal ramus supplies the muscles and skin of the dorsal surface of the body (the back). The ventral ramus supplies the ventral and lateral parts of the trunk and all parts of the limbs (arms and legs).